A prescribed burn on private land. Smoke will soon be returning to Douglas County, only this time, it won't be from a wildfire. Farmers will be utilizing *prescribed burns to prepare fields and pastures for next spring. 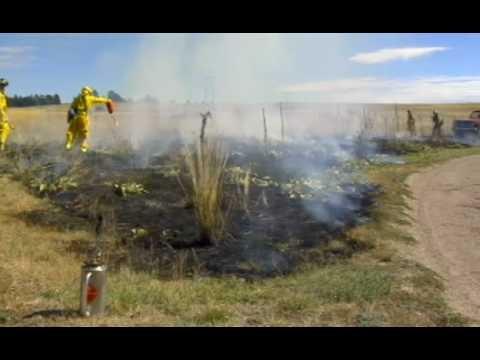 Prescribed burns help remove noxious weeds, insects, and diseased plants, and they help firefighters by reducing the buildup of brush and other flammable vegetation. The effects on populated areas should be minimized by allowing burns only to take place when conditions are appropriate and weather patterns favorable. Douglas Fire District averages about 6,000 acres of prescribed burns a year over the last five years. Before a burn can begin, it must be inspected by a Forest Officer. The landowner must be able to demonstrate full fire suppression in the form of equipment and on-site personnel.